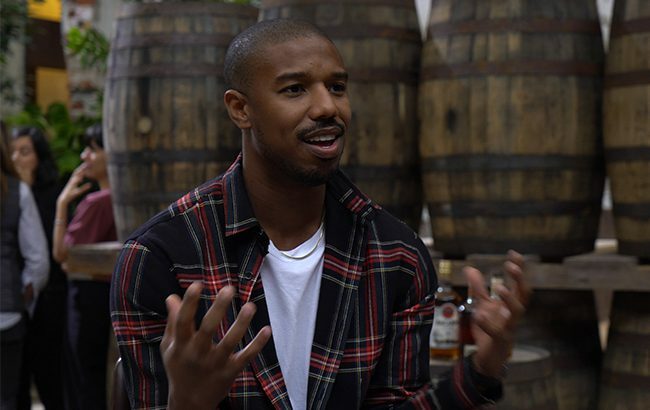 Bacardi rum has hired Black Panther star Michael B Jordan to co-direct a new film as part of the brand’s “continued efforts” to push premiumisation in the category. The short film is the first digital advertisement for Bacardi’s new premium rums, Bacardi Añejo Cuatro and Bacardi Gran Reserva Diez, which launched in April this year. American actor Michael B Jordan and music video director Paul Hunter have joined forces to direct the film, called The Angel’s Share. The campaign seeks to educate consumers on how rum is crafted. The “narrative-driven” film centers on the ‘angels’ share’ – a term used to describe the portion of a spirit’s volume that is lost to evaporation during ageing in a barrel. Bacardi is aged under the Caribbean sun, resulting in the rum losing more angels’ share than other spirits. The film, which “celebrates the vibrancy, traditions and warmth” of Bacardi’s Caribbean roots, follows three characters as they each tell their own version of the angels’ share story. “This is an exciting time for rum, and as a rum guy, I knew I had to be a part of this project,” said Jordan. “Rum has always been a part of my life. My grandmother made her famous rum cakes, which were only ever made with Bacardi – so I feel a special connection to the brand. Roberto Ramirez Laverde, vice president of Bacardi North America, said: “We first connected with Michael last year when he attended No Commission – our art platform in partnership with The Dean Collection. The Angel’s Share campaign will run across digital channels including television, YouTube, and full-episode players such as Hulu and CBS. Out-of-home will run in markets including New York, Miami, Los Angeles, Chicago, Washington DC and Atlanta. Check out a video from the campaign below.